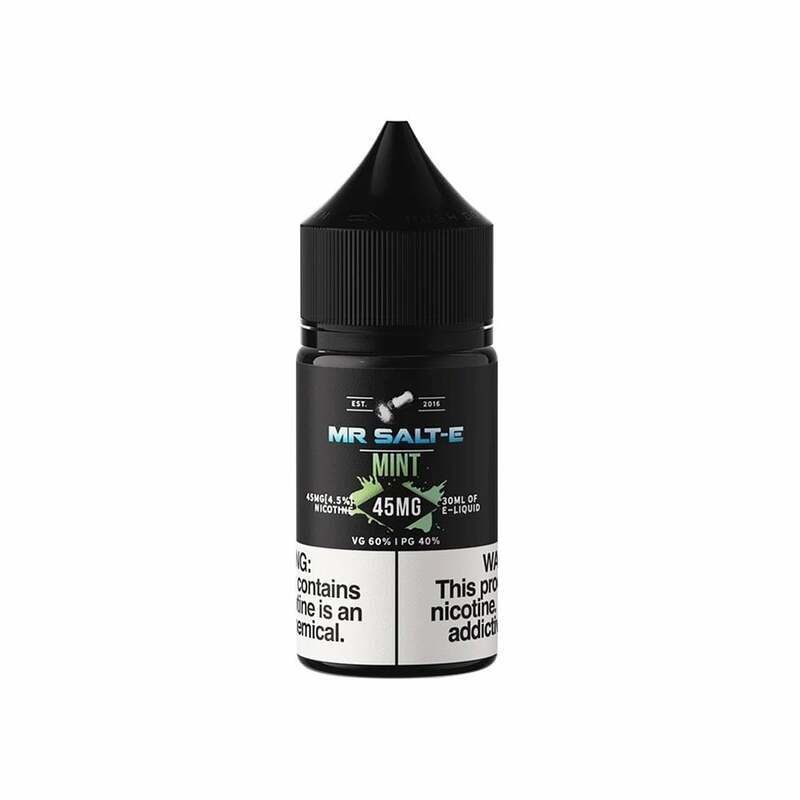 Mr. Salt-E Mint is a new take on a classic vape juice flavor: a rush of icy, energizing mint infused with nicotine salts for an incredibly smooth vape. If you're a fan of mint or menthol vape juice but long for something with a bit more of a nic kick, pick up Mr. Salt-E Mint! Mr. Salt-E vape juices come in 30ml bottles and are available in two nicotine strengths: 25mg and 45mg. Their nicotine salt formula delivers a powerful, cigarette-style nicotine rush without the harshness of strong freebase nicotine. Smooth and flavor-filled, Mr. Salt-E juices are as satisfying as it gets. This is my favourite juice, it's not sweet, and it doesn't taste like toothpaste or candy, or Halls cough drops. Great deal for price as well. Thank you! Mild mint flavor with cinnamon finish, or more accurately cinnamon with mild mint. I like it a lot. Works very well in my Suorin Vagon. More of a sweet mint flavor. Too sweet for me. Also when used with a suorin air, it hits in a strange way. sort of unpleasant. Nice flavor, could be a little more minty. Sort of gives me more of a sweet mint vibe. The main issue here is that the bottle came broken and a lot of the juice was spilled inside the packaging. Disappointing.